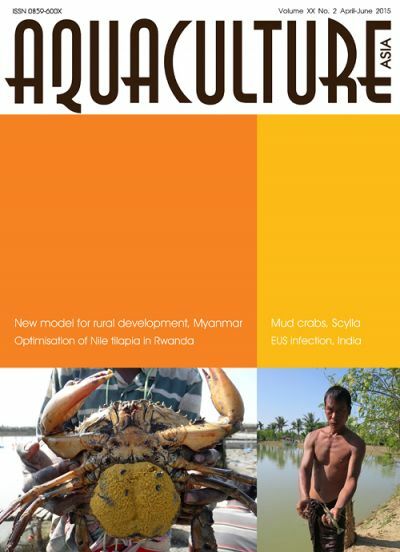 Peter Edwards writes on rural aquaculture: Successful demonstration of new model for rural development in Myanmar. 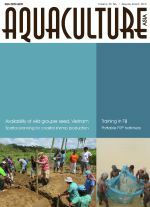 Optimisation of Nile tilapia (Oreochromis niloticus) production in ponds based on improved farm management practices in Rwanda. Development of pond reared broodstock / spawners of green mud crab Scylla serrata. 12th Technical Advisory Committee held in Cha-am, Thailand. Audio recordings: WAS special session on regional cooperation for improved biosecurity. Pillay Aquaculture Foundation Awards for Scientists in Least Developed Countries. Gender Seminar Conducted and ASEAN Gender Network Launched. A two-tube, nested PCR detection method for AHPND bacteria. Developing an environmental monitoring system to strengthen fisheries and aquaculture in the Lower Mekong Basin. Regional Workshop on the Status of Aquatic Genetic Resources.